Camping Marco de Bignac er en campingplads i Bignac, Charente, beliggende ved en sø/badesø. Denne campingplads har pladser der er afmærkede, med skygge, uden skygge og pladser med en smule skygge.Det er muligt at leje mobil homes. Campingpladset har et sportsområde. Denne inspektør besøger hvert år Camping Marco de Bignac og inspicerer campingpladsen ud fra omtrent 200 faciliteter og andre fokusområder. Inspektøren arbejder for ACSI og arbejder altså ikke for campingpladsen. We have spent the last 6 years holidaying at Marco de Bignac and will continue to stay there. The site is beautiful and the family running the site are superb. It’s an absolute treasure - give it a go. You won’t be disappointed. An absolutely wonderful site. In an idyllic location. Beautiful lake for those who fish and the site has some amazing history particularly regarding the \"résistance\". Exceptionally clean and well serviced. quiet position . We returned twice this summer as it is so accessible to the A10 and each time stayed longer than intended. The owners were friendly and tireless in making our stay a very memorable one. We only intended to stay a week but ended up staying 3! The site was everything we wanted and is run by a very friendly British family. The site which includes a beautiful lake, is well maintained. It has a wide variety of wildlife which is attractive to nature lovers and photographers. Toilet facilities are good and the on-site bar/bistro is very inviting. Unfortunately the end of our stay coincided with the seasonal opening of the swimming pool so we were unable to try this out. We had such a lovely time we fully intend to revisit this site in September. This is an excellent site, convenient for the N10, sometimes used as as an overnight stay but most units on site were staying longer to visit the attractions in the area, many were repeat visitors. The pitches are partially shaded - very welcome in hot weather. The site is run by a hard working friendly family who work very hard to make sure that your stay is enjoyable. The excellent sanitary facilities are very clean with good hot showers. Wi-fi is free near the reception area. There is a large fishing lake adjacent with a footpath around it, ideal for some exercise to work off an excellent meal at the camp restaurant which overlooks the lake. The owners are very knowledgable and helpful about getting the best from the area. There are local walks and cycle routes which they will provide maps for. 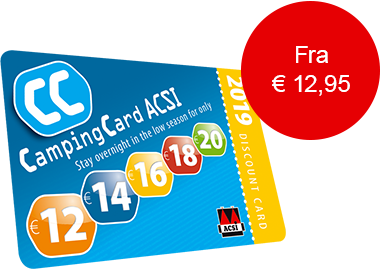 An ACSI card gives a discount in the low season. Lovely rural site, facilities mixed but spotlessly clean. Would have loved to have stayed longer and will return. On arrival at this family run campsite we were welcomed by the friendly English owners, who have had the site for the last 5 years. We were allowed to choose our own pitch, all of which were grassy, sizeable, and clearly marked with trees. Some pitches were shady and others had plenty of sun, and many had a view of the lake. Campsite residents can fish the lake for free. As well as the reception, which doubled as a shop selling a few essentials, there was a bistro/bar, swimming pool, children's play area, tennis court and a selection of animals, including pigs, ponies, goats and rabbits. At the far end of the site there was a large field of sunflowers, unfortunately past their prime when we visited late in the season. Some interesting items were left at the site from when La Palena took over the village for a festival a couple of years previously, including a giant wooden chair and stick people. Various wildlife can be observed around the site, including red, almost black, squirrels and kingfishers, and we also spotted a coypu a swimming across the lake. There were two sanitary blocks, one recently refurbished and the other currently in the process. The facilities were unisex and kept very clean. The site has some interesting history attached to it, being a hot bed of French resistance during World War 2, and the field was used for parachute drops by the allies in 1944. Nearest Supermarket, a Super U in Rouillac, 10km away. We found this to be a lovely, quiet, friendly and relaxing site, and one which we will certainly visit again in the future. An excellent site run by a very welcoming and helpful family. Stayed longer than originally planned and we will return. Pitches were spacious and the water in the showers was hot. We have just spent 11 days on this site and what a little gem it is. The owners make you feel very welcome and nothing is too much trouble. We will definitely be returning. Vil du booke Camping Marco de Bignac eller have yderligere information? Det kan du via nedenstående oplysninger eller via campingpladsens hjemmeside. Forlad RN10 ved skiltene La Touche D'Anais. Følg skiltene mod 'Vars', 'Bignac' og så skiltene mod 'Camping Marco de Bignac'. ACSI Eurocampings sender din forespørgsel videre til "Camping Marco de Bignac".